The Pantac Land CRS* is designed to allow the user to rapidly jettison the armor platform, by a simple tug on the release tab. 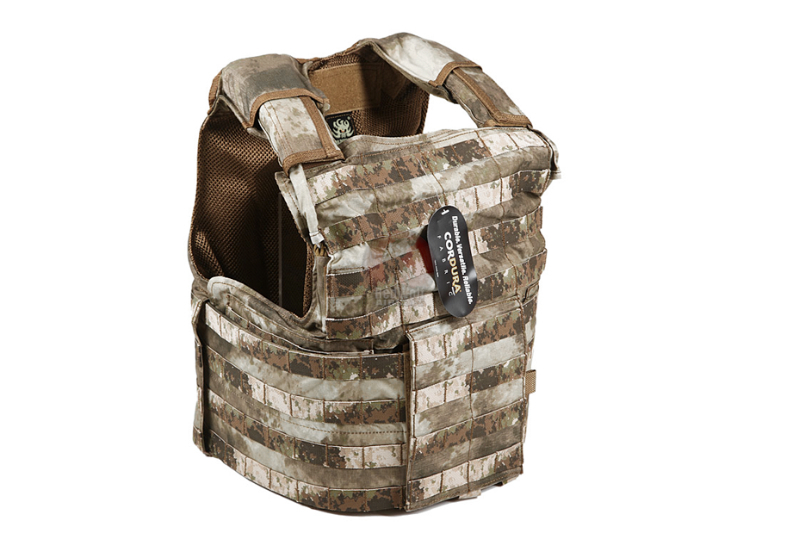 Constructed from 1000D Cordura, the MAR-CRS* is a heavy duty weather resistant vest. 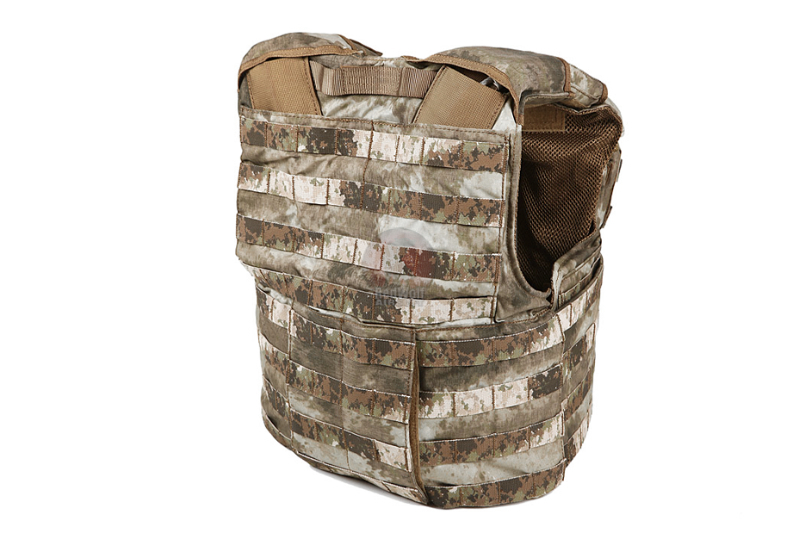 Covered 360 degrees with MOLLE rigging, with detachable shoulder pads, the Pantac CRS* is a vest to be reckoned with! The Land version's external cummerbund wraps all around and is secured in the front of the body with the single outer flap coming down in the front (Dummy Plates Included). Please note that the sizing is based on the plate size, and not the body size.